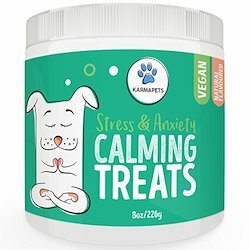 So how should you use CBD with your dog? Lymphoma can be one of the toughest things to hear when your pet is diagnosed with it, but it will also be the toughest journey your pet will ever face. This isn’t something that is rare to hear either, as it is one of the most common tumors that affect dogs. However, there is something that can help your dog and that’s CBD. Throughout this post, there will be examples of how CBD can help your dog, while it’s dealing with lymphoma. Lymphoma is a type of cancer that affects the lymphatic system. They tend to originate in lymphoid tissues, which includes: lymph nodes, spleen and bone marrow. But these are not the only parts of the dog’s body that are at risk, as it can actually arise in any tissues. Lymph, this is a watery fluid, which escapes from the capillaries when blood is transported. Lymph vessels, this assists when the lymph is getting transported around the body. Lymph organs, this includes lymph nodes and also includes the spleen, thymus, tonsils, and appendix. The first role that the lymphatic system has is that it assists excess fluid, which is in the formation of lymph and helps it find its way back to the circulatory system. Another role that it has is to help the blood absorb and move large molecules like lipids and hormones. The third role is that it actually structures part of the immune system, and this allows the body to protect itself against viruses, diseases and any other illnesses that would threaten anyone’s body. There are also lymphocytes and these are actually specific cells that are formed in the lymphatic system, which are made from lymphoma. These cells are white blood cells that have a single round nucleus. Their purpose is to travel around the body, so it can help fight any infections. Lymphoma is regarded as one of the fastest spreading cancers, and this is because when the affected cells travel around the body it gives cancer a chance to spread faster, which is when it starts to affect lymph nodes and also other lymphatic organs. Plus, it can even affect multiple lymph nodes, not just one. This means that it can strike other areas of the body as well, which can include the internal organs, like spleen, liver, and bone marrow. There isn’t just one type of lymphoma in dogs; in fact, there are approximately 30 different types of it. These all have different characteristics, including unique behaviors and effects. Because of this, it is actually classed as one of the most common cancers that affect dogs and represents a staggering 15% of all canine cancers that have been diagnosed. There are a whole variety of symptoms that you can look out for in your dog that will indicate whether they have lymphoma or not. The most present sign would be if your dog has a swollen lymph node, and it will be very noticeable. This is because the lymphocytes will grow dangerously large. These will not feel painful to your dog at all, but they will become firm with a rubbery texture, and if you touch one you will be able to notice that. But this is not in every case, as sometimes it may be quite difficult to feel if your dog has one of these. 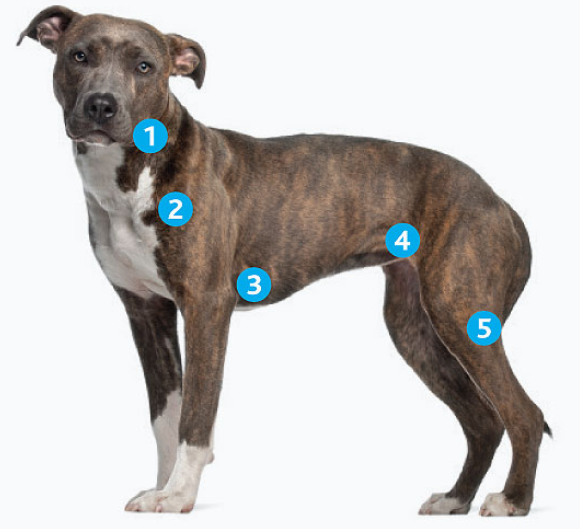 It’s also important that you look out for any of the following: dry, flaky, red, and itchy patches of skin all over the dog. This is because some lymphomas can cause this to happen. Lymphoma can also attack the intestines as well, and this is known as Gastrointestinal lymphoma. This may have different symptoms, so here’s what you should look out for: vomiting, diarrhea, and sudden weight loss. Mediastinal lymphoma is a very rare type of cancer, but it is very serious as well. This is when the lymph nodes around the chest become enlarged. You will notice that your dog may have difficulty breathing, or it could even have a build-up of fluid in the chest. If you notice any of the symptoms in your dog from the list above please go to your vet. It’s very sad to say but there is no cure to treat lymphoma just yet. Although there are different ways that you can help relieve your canines pain, while it is going through its treatment. This means that your dog will still be able to enjoy its life. If a dog is treated properly for lymphoma then it may even give them a chance to have a period of temporary recovery. This would mean that their lymphoma may not be entirely cured, however, it will also not be detectable at a clinical level. 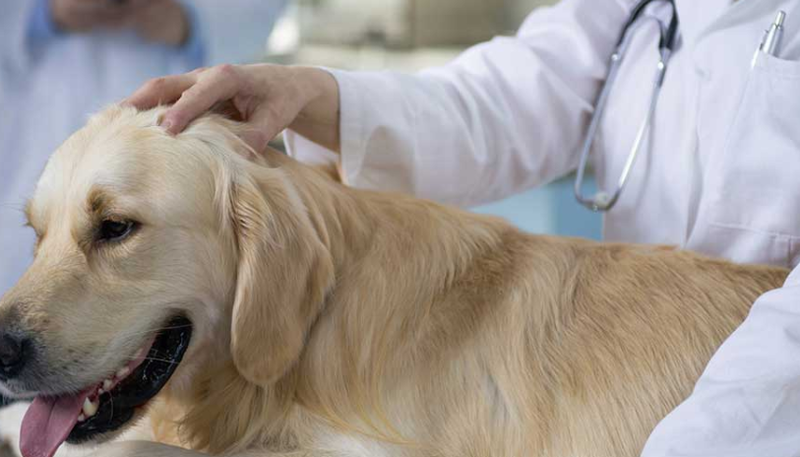 There are different options when treating your dog for this type of cancer, you can either decide to give your dog chemotherapy, or some vets may suggest a combination of different treatments, like surgery and radiation therapy. This all depends on the kind of lymphoma the canine has. Everyone hears all the horror stories about how hard it can be to go through chemotherapy, but this type of treatment for dogs is different from how humans experience it. Blake Armstrong’s (who writes for Cannabis Supplements For Pets) dog Rosie was diagnosed with lymphoma. He was always quite hesitant about letting his dog go through the chemotherapy process. Even when the vets suggested that chemotherapy was the best option. All that he could think about was the negative effects of the treatment, including picturing Rosie losing her fur or her become a thin and frail dog. He did not want to see her lose the strength that she had. After researching dog chemotherapy he realized that it is a lot different to the chemotherapy that humans experience. He also discovered that it has different side effects and that they are nowhere near as bad to what humans experience. Therefore he decided to try chemotherapy for Rosie. Once Rosie was having the treatment she didn’t experience any of the side effects that he was initially worried about. The only few side effects that she did experience from the treatment was the tiredness. He could also tell that she felt drained and she’d lose her appetite for a couple of days after she had had the chemotherapy. He could tell there was a difference because she never turned down food on any occasion. However, after a couple of days had passed she was back to her normal self. However, every dog does respond to cancer treatment differently, and just because one dog did not have very many symptoms does not mean that another dog will have the same. This all depends on a whole range of factors, from how severe the cancer is to what type of cancer it is. 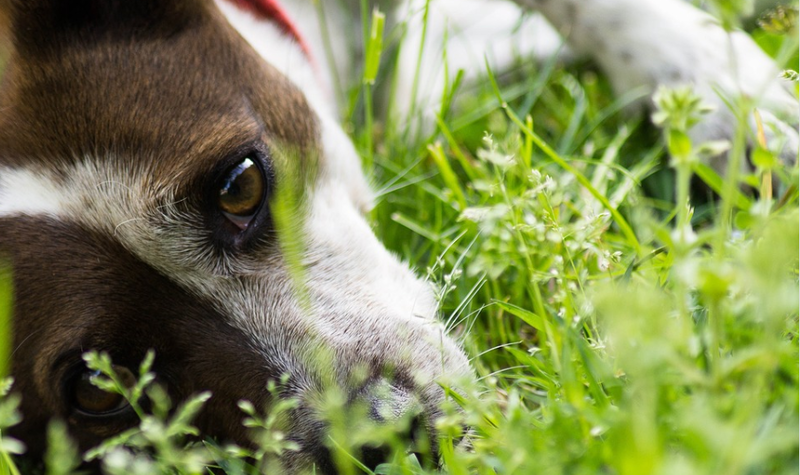 You may be concerned that your dog will be going through pain, and you really don’t want to see that, this is where CBD can help you and your dog. Cannabidiol/CBD is a substance that is made from hemp and cannabis plants. It is used for a variety of things, which include pain relief and it can also reduce inflammation. Lots of people are fond of it because it can be seen as an organic remedy. It has recently been receiving lots of awareness, and this is because of its medical potential. There are countries around the world that are using it, which includes Canada and Switzerland. Doctors accept it there because it is able to offer a solution for a variety of symptoms and conditions, which include cancer. 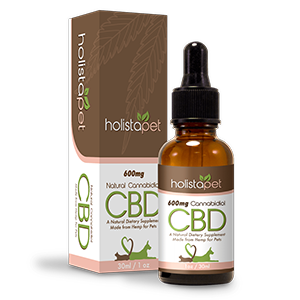 However, lots of people are still fairly sceptical about CBD, especially when giving it to your dog. 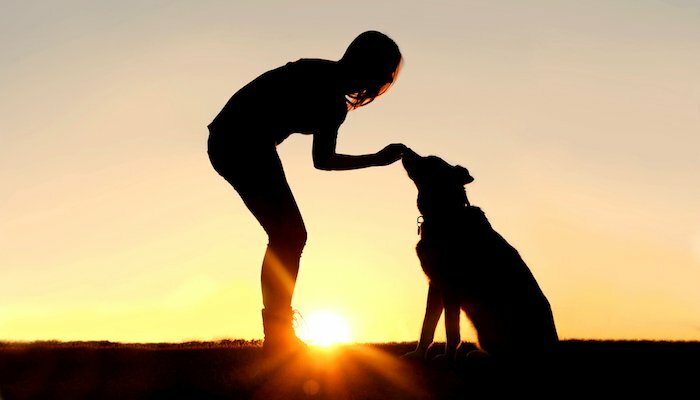 Therefore below explains four of the main points about how CBD can help your dog out when it has to deal with lymphoma and also other types of cancer. Everyone knows that cancer is painful, and chemotherapy isn’t very pleasant either, because of the harsh symptoms that it can give some dogs. However, when a dog is given CBD it can help calm the symptoms, which is caused by this. CBD is known for being a painkiller, and studies over the years have shown that it is able to manage pain in a variety of ways. 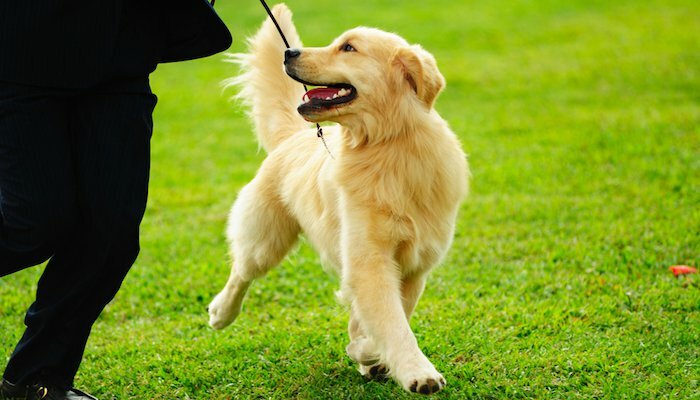 Therefore, it is able to relieve the symptoms for your dog. 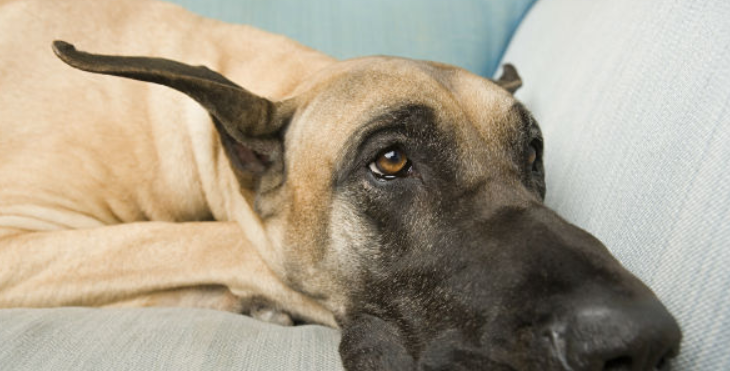 Cancer can, of course, causes inflammation, and this can be quite painful for your dog. Across the year’s studies have shown that CBD can solve inflammation, which means that it will also reduce the pain for your dog. But this isn’t the only way that CBD is able to stop the pain, as it is able to fight it in other ways too. For instance, it is actually able to suppress pain signals that are made by neuropathic issues, as well as inflammation. Studies have shown that it is able to prevent your dog from feeling or being sick, and this is all due to the endocannabinoid system, as this is accountable for mediating the effects of CBD. By simply stimulating the endocannabinoid system it is able to curb nausea and vomiting symptoms, and previous studies have shown this. The reason why CBD helps the symptom of lethargy is because the endocannabinoid system is strongly linked with managing mood and energy. Previous studies have actually been able to prove that CBD can protect against colon cancer in rats. It is able to stop the growth as well as the spread of malignant tumors. This means that it is, in fact, able to help the dogs that have lymphoma by attacking cancer itself. But it must be noted that there is not an awful lot of research into this. The studies that have been conducted about it slowing the growth of tumors have included different parts of the body, for instance: brain, colon, lungs, breast, skin, and other organs. The research has suggested that it is able to stop the growth in two different ways. One of which is that CBD actually starves cancer, while the other way shows that CBD fights the growth of the cancer cells, making the tumor not grow as quickly. But always remember to talk to your vet about using CBD on your dog, and always ask them about the type of dosage that you should be giving them. Across the United States CBD is already used as a type of cancer treatment, as well as in other countries as well. Many pet owners are already using this form of treatment to help dogs that are suffering from cancer. Sherman is a Bernese Mountain dog who is nine years old. He was diagnosed with histiocytic sarcoma cancer, because of this he has a baseball size mass just on his right pelvis. Due to the position of this and that it is metastasized, unfortunately having an operation is not an option for Sherman. However, he is having chemotherapy and has also completed a round of radiation treatment, but the mass is pressing on his spine. There is some happy news to Ellie’s story, as after a year or constantly using CBD, she is actually still here and is now cancer free. 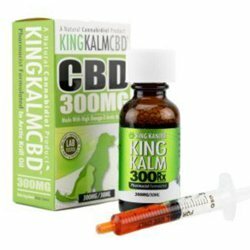 There is a whole market out there that will sell CBD for dogs, but there are some that have been highly recommended, like King Kanine’s 300mg CBD oil, and HolisatPet’s CBD Pet Tincture. However, make sure you’re completely comfortable with giving your pet CBD, and always ask the vets advice before you give it to them. Especially about the dosage levels you should use, as if you give your dog too much it can cause them to become lethargic, have a lack of coordination and diarrhea.